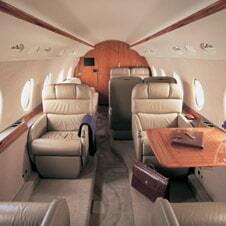 The G200 seats between 8 – 10 passengers in a comfortable stand up cabin. Hot and cold catering with a flight attendant service is available in addition to a spacious luggage hold. The aircraft can fly over 3300 miles or up to 7 hours.